Here's one of my favorite first day of school photos. Gracie picked out these shoes when we were shopping for school clothes, and was so excited to wear them on her first day. I did some layering with Crate Papers Maggie Holmes stickers and die cuts, and added the sequins to her cute polka dot paper. Thanks so much for stopping, I always appreciate the visit! Sweet layout, and I remember those "first day of school" new shoes. Love it. Sooooooooo beautiful!! LOVING the colors and that sweet photo!!!! 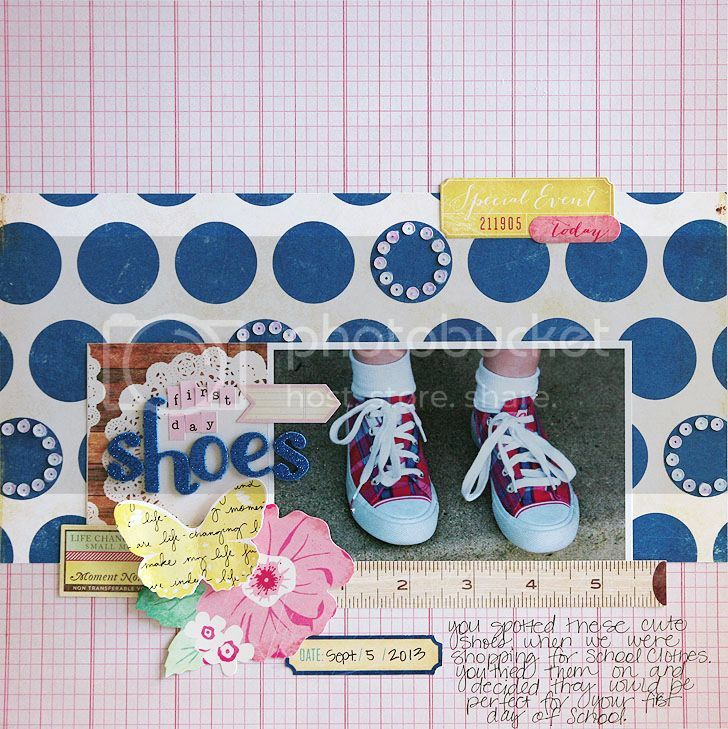 What a cute layout and cute shoes. Great shoes, and I love the cluster of embellishments. How cute is this??!! 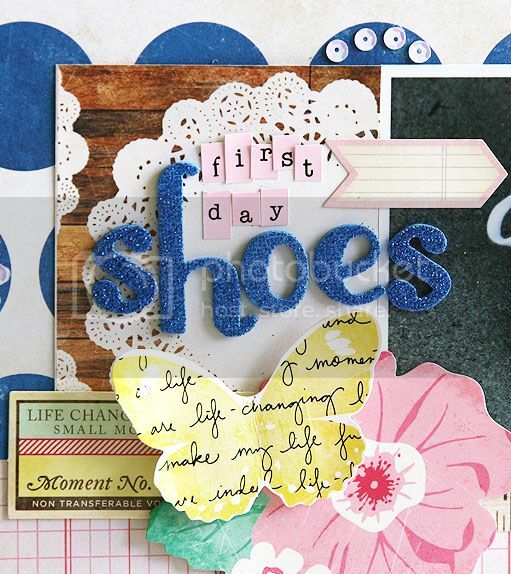 Love how you used the awesome Navy polka dot paper from the Maggie line behind your photo, Mary Ann! That is so sweet! Beautiful layout.